Kentucky Watches, Warnings or Advisories – Weather Alerts Follow the alerts, link here. Join KAMM for 2019! Link to Join KAMM. Link to more conference information. We invite KAMM friends to take part in this year’s annual conference and pre-conference activities by submitting an abstract for the conference program. We are seeking abstracts suitable to this year’s theme – KAMM XV: Celebrate the Past, Inspire the Future for our anticipated largest conference ever. Deadline is April 19. Link to the 2019 Call for Abstracts. Link to our informative KAMM Spring Newsletter! ​FRANKFORT, Ky. (April 18, 2019) Gov. Matt Bevin has received notification that President Donald Trump has authorized assistance for certain Kentucky counties that suffered significant damage as a result of the severe flooding event commencing on February 6, 2019, and continuing through March 10, 2019. The President’s action grants public assistance to impacted counties to repair roads, bridges and other infrastructure. The declaration will also provide the Commonwealth with mitigation funding. This system produced extended episodes of strong winds, torrential rain which caused flooding, flash flooding, landslides and mudslides. The majority of damages were to highways, bridges and local and electrical infrastructure. The counties of Adair, Ballard, Bell, Boyd, Breathitt, Butler, Campbell, Carlisle, Carroll, Carter, Casey, Clay, Crittenden, Cumberland, Edmonson, Elliott, Estill, Floyd, Grant, Greenup, Hancock, Harlan, Henderson, Henry, Jackson, Johnson, Knott, Knox, Laurel, Lawrence, Lee, Leslie, Letcher, Livingston, Madison, Magoffin, Marion, Marshall, Martin, McCracken, McCreary, Metcalfe, Morgan, Owsley, Pendleton, Perry, Pike, Powell, Rockcastle, Russell, Trigg, Union, Washington, Wayne, Webster, Whitley, and Wolfe are included in this declaration. Public Assistance is available (Assistance to State, Local, Tribal and Territorial governments and certain private-non-profit organizations for emergency work and the repair or replacement of disaster-damaged facilities). EPA’s Interpretative Statement provides certainty to states and the regulated community while recognizing long-standing protections for America’s groundwater. Consistent with Congress’ vision for a strong federal state partnership to protect the country’s groundwater resources, the agency’s new guidance recognizes the state’s leadership role in protecting groundwater and provides certainty to states and others who implement and enforce EPA’s federal permitting programs. EPA’s Interpretative Statement will help inform federal and state regulators with future National Pollutant Discharge Elimination System (NPDES) permitting and enforcement decisions. States should continue to take an active role in regulating discharges to waters within their jurisdictions, as provided in state law and envisioned under the CWA. EPA will continue fulfilling its role in protecting groundwater and hydrologically connected surface waters as authorized by Congress through the Safe Drinking Water Act, the Resource Conservation and Recovery Act, and the Comprehensive Environmental Response, Compensation, and Liability Act. Background: Recent conflicting federal court decisions and the prior lack of clear agency guidance regarding whether NPDES permits are required for releases of pollutants to groundwater has caused uncertainty regarding how the agency and states should implement and enforce the NPDES permitting program. In February 2018, EPA requested public comment on whether the agency should revise or clarify its position on the issue. At the same time, the agency also undertook a comprehensive review of prior agency statements on the matter and performed a holistic analysis of the text, structure, and legislative history of the Act. Based on this analysis and careful consideration of public input, EPA concluded that Congress excluded releases of pollutants to groundwater from the Act’s permitting requirements, regardless of whether there is a hydrological connection between the groundwater and a water of the United States. In conjunction with issuing its Interpretative Statement, the agency is seeking additional public input regarding what may be needed to provide further clarity and regulatory certainty on this issue. The comment period will be open for 45 days after the Interpretative Statement is published in the Federal Register. For more information visit https://www.epa.gov/npdes/releases-point-source-groundwater. The U.S. Environmental Protection Agency (EPA) announced the availability of approximately $6 billion in credit that could finance over $12 billion in water infrastructure projects through the Water Infrastructure Finance and Innovation Act (WIFIA) program. Prospective borrowers seeking WIFIA credit assistance must submit a letter of interest. For this round, EPA is prioritizing construction-ready projects in three areas: reducing exposure to lead and addressing emerging contaminants in drinking water systems; updating aging infrastructure; and implementing water reuse and recycling. EPA will accept letters of interest (LOI) from prospective borrowers until July 5, 2019. Please register for both parts of this FREE webinar. This webinar is a two-part course on the National Flood Insurance Program. It includes the topics listed in the Federal Register notice on training and education requirements related to Section 207 of the Flood Insurance Reform Act of 2004, otherwise known as FIRA 2004. Training brings participants the latest information on reform legislation impacting the NFIP as it reviews the key elements that insurance agents need to know about the NFIP and how it works. The webinar also focuses on many of the federal flood program’s general rules as well as some more advanced topics. For more information, visit our Key Fundamentals of Flood Insurance overview. Attendees must complete both sessions in order to cover all topics required by the Flood Insurance Reform Act (FIRA) of 2004. If you are not a subscriber to NFIP agent training bulletins, please sign up here. Go Green with GASB 62! In cooperation with the American Planning Association, the Association of State Floodplain Managers presents the April 2019 Planning Information Exchange webinar. PIE is a free quarterly webinar series focusing on tools, best practices and strategies on the role of hazard mitigation planning and its connections with other community planning and hazard risk reduction initiatives. Investments in distributed water strategies, including conservation/restoration projects and green infrastructure, can generate water quality and flood loss reduction benefits. However, these initiatives are usually limited in scope and scale as they are funded as “annual expenses” in accordance with conventional accounting rules. Recently, those accounting rules have been expanded to make it easier for cities, towns and other public entities to finance decentralized projects. The General Accounting Standards Board (GASB)’s Statement 62, along with the new 2018 Implementation Guidance, provides a path forward for public utilities opting to capitalize expenses in distributed infrastructure. This new guidance has the potential for unlocking millions in new investment for funding green infrastructure and stormwater solutions, jumpstarting greater community resilience! Continuing Education: 1.5 CM and 1 CEC credits are available for AICPs and CFMs who participate in the entire webinar. Water Quality Modeling Workgroup is hosting a series of webinars to help water quality professionals better understand surface water quality modeling and how models can be used to solve common problems that face water quality regulators. The webinars are focused on modeling as it applies to the Total Maximum Daily Load (TMDL), Standards, and Water Quality Permitting Programs, but they are applicable to a wide range of audiences. These two-hour webinars cover everything from modeling basics (e.g., model setup and calibration) to applied water quality modeling of different pollutants. The purpose of this webinar is to discuss data needs for hydrodynamic, watershed, and water quality models. The webinar will present how and where to obtain data from various sources. Several tools that are available to acquire, process, manipulate, and visualize data will be presented. Lastly, the webinar will discuss how to organize and manage data in preparation for transferring to models. While green stormwater infrastructure increases in popularity, we are still learning about the role of trees in these innovative practices. In this webinar, Andrew Tirpak will discuss recent research results from studies designed to characterize the health of trees in bioretention practices and the benefits they provide to urban stormwater management. Lyn Rutherford will share observations from managing bioretention and detention ponds, noting how design, installation, and maintenance practices affect tree health and water quality function. This webinar is for stormwater engineers, urban foresters, and landscape professionals. As land use planning evolves, planners must embrace the latest technologies and tools to help stakeholders make land use decisions without being overwhelmed. Recent changes in geospatial tools and technologies are enabling this shift from data overload to data sensibility. Join the Smart Growth Network to learn how geodesign can help to guide stakeholders to consensus through a process of collaboration and negotiation enhanced by geospatial technologies that visualize scenario alternatives in real time. This webinar will feature Kelleann Foster, RLA, ASLA and David Goldberg, ASLA, of Penn State University, and Jesse Suders of Tetra Tech. Geodesign is a place-based planning process that combines creative problem-solving with geospatial data. Admittedly, the geodesign process is more labor intensive than traditional land planning practices; however, the ability to shorten the typical planning process, plus geodesign’s track record of success, can outweigh concerns about adopting this new tool. Stakeholders react well to being able to see – through real time mapping and “dashboards”-the consequences of their land use choices. Participants of the live webinar are eligible for 1.5 AICP continuing education credits. What are the NFIP Technical Bulletins? FEMA Technical Bulletins (TBs) provide guidance for complying with the minimum National Flood Insurance Program’s (NFIP) floodplain management requirements pertaining to building performance. Eleven Bulletins, covering a range of topics, were released from 1993 to 2010. The Bulletins are primarily for use by state and local officials responsible for interpreting and enforcing building codes and NFIP regulations. They are also helpful to design professionals, builders, and homeowners. address known issues identified by a wide range of stakeholders. These changes are intended to improve the TBs’ usability, credibility, and content while presenting them in a streamlined format. Overarching additions will include new introductory text, updated tables, figures, photos, and references along with a section on applicable codes and standards. All updated TBs will have tables comparing codes/ standards to the NFIP regulations. The 2018 I-Codes and ASCE 24-14 are used as the base codes and standards with the changes from the 2015 and 2012 I-Codes and ASCE 24-05 referenced. Incorporating information and references from the most recent consensus codes and standards keep the Technical Bulletins current and aligned with the field’s latest concepts and advances. Download the Update to NFIP Technical Bulletins. What once was a highly restricted database that required requesting special access, the National Inventory of Dams (NID), is now open and available for public download. The NID is a congressionally authorized database documenting dams in the United States and its territories. It is maintained and published by the U.S. Army Corps of Engineers (USACE) and in collaboration with the FEMA aims to obtain more accurate and complete information. The NID is available at http://nid.usace.army.mil and was populated using the 116th Congressional District information and all charts, queries and maps reflect the most current NID database. State and federal dam regulators provided their data from May to November 2018 for inclusion in the 2018 database. Major changes to the 2018 NID allow users to download or export certain NID data and to view the hazard potential classification. State or federal agencies may restrict access to information on dams within their jurisdiction, so for information not published in the NID, USACE recommends consulting the agency exercising responsibility over the dam. The hazard potential classification, as published in the NID, does not reflect the condition of a dam. That information can be found in the condition assessment, which is available to approved government users. Historically, the NID has been published every two years. Starting in 2019, the NID will be updated annually. The goal of the NID is to include all dams in the U.S. that meet specific criteria, yet, is limited to information that can be gathered and properly interpreted with the given funding. The NID initially consisted of approximately 45,000 dams, which were gathered from extensive record searches and some feature extraction from aerial imagery. Since continued and methodical updates have been conducted, data collection has been focused on the most reliable data sources, which are the many federal and state government dam construction and regulation offices and now is up to 90,000 dams. In most cases, dams within the NID criteria are regulated (construction permit, inspection, and/or enforcement) by federal or state agencies, who have basic information on the dams within their jurisdiction. (4) Equal or exceed 50 acre-feet storage and exceed 6 feet in height. This week, FEMA released the “State-Led Public Assistance Guide”, providing additional resources for recipients to lead some or all aspects of Public Assistance operations for smaller disasters. State-led Public Assistance maximizes specialized features of the Public Assistance delivery process to enhance the capacity of recipients to achieve local communities’ immediate and long-term recovery goals. Aligning with FEMA 2018-2022 Strategic Plan, state-led Public Assistance operations preserves federal resources for catastrophic disasters and strengthen the emergency management enterprise to one that is federally supported, state-managed, and locally executed. Allowing recipients to provide tailored customer service for sub-recipients. Providing opportunities for recipients to enhance or build capabilities to support disaster recovery. Enhancing the recipient role in shaping and achieving desired recovery outcomes. Encouraging recipients to build upon existing relationships and familiarity with their applicant base to increase efficiency throughout grant lifecycle. Public Assistance provides disaster grant assistance to recipients and sub-recipients to help communities quickly respond to and recover from major disasters or emergencies. FEMA authorized recipients to lead PA delivery for small, federally declared disasters since 2001, which has resulted in several recipients demonstrating ability to lead Public Assistance operations with varying levels of federal oversight. FEMA developed the Individual Assistance Program and Policy Guide (IAPPG), which is an inclusive, single-policy resource for all Individual Assistance (IA) programs. The new guide consolidates policies for the Individuals and Households Program Fact Sheet, Mass Care and Emergency Assistance, and the Community Services Program into one document. The guide also replaces the Individuals and Households Program Unified Guidance (IHPUG) as the primary reference resource for IA programs. The IAPPG provides a comprehensive policy resource for state, local, tribal, and territorial governments, non-governmental partners, and other entities that assist survivors during disasters. Resources written specifically for disaster survivors can be found at https://www.fema.gov/individual-disaster-assistance. The IAPPG furthers the goal of reducing the complexity of FEMA as outlined in the agency’s 2018-2022 Strategic Plan. The FEMA Public Assistance grant program helps emergency service organizations with funding to repair and rebuild facilities after a disaster. The days following a presidentially declared disaster can be overwhelming for those left to pick up the pieces of their lives. Disaster survivors who need information on grant programs for homeowners and renters can apply for assistance from FEMA. However, what about public facilities like your fire or Emergency Medical Services (EMS) departments that are damaged by a disaster? Good news: FEMA is also there for your emergency services department to help you repair or rebuild your facility. Debris removal (tree limbs, branches, stumps or trees that are still in place but damaged to the extent they pose an immediate threat). Emergency protective measures (pre-positioning equipment, use of temporary generators and security, such as barricades). Repair, replacement or restoration of disaster-damaged facilities, equipment and apparatus. Eligible costs associated with mutual aid. In most situations, your headquarters, emergency operations center, dispatch center and other response systems will have the documentation needed to support requests for reimbursement costs. How much will FEMA pay? FEMA’s share of assistance is not less than 75 percent of the eligible cost. The recipient (usually your state) determines how the nonfederal share (up to 25 percent) is split with a sub recipient (your organization). Volunteer work and donated equipment, supplies and resources may be used to offset the nonfederal share of eligible costs. Learn more about eligibility, guidelines and the application process for Public Assistance from FEMA. For a third year, FEMA continued its traditional reinsurance placement for NFIP for the 2019 hurricane season. Effective on Jan.1, FEMA secured $1.32 billion in reinsurance to cover qualifying flood losses occurring this calendar year. This placement complements the NFIP’s existing capital markets placement, and it continues FEMA’s risk management practice against future catastrophic flood loss. FEMA paid $186 million for premium coverage, with 28 reinsurance companies agreeing to indemnify FEMA for flood losses for flood events between $4 – $10 billion. As a result, for incidents where NFIP claims exceed $5 billion threshold, FEMA will receive payment through these reinsurance agreements. Congress granted FEMA authority to secure reinsurance from the private reinsurance and capital markets through the Biggert-Waters Flood Insurance Reform Act of 2012 and the Homeowner Flood Insurance Affordability Act of 2014. For additional information about this traditional reinsurance placement, you can read Frequently Asked Questions (FAQs) and other details about this reinsurance placement, available at https://www.fema.gov/nfip-reinsurance-program. The National Environmental Policy Act of 1969 directs federal agencies to thoroughly assess the environmental consequences of major federal actions that could significantly affect the environment. In May 2018, FEMA published a Record of Decision in the Federal Register to announce its intent to implement the Preferred Alternative program modifications to the National Flood Insurance Program (NFIP). FEMA undertook the preparation of a Nationwide Programmatic Environmental Impact Statement (NPEIS) and completed the Record of Decision because changes to the NFIP are considered to be a major federal action. As a first step toward implementation, FEMA is sending an awareness letter to more than 22,000 communities that participate in the NFIP. The program modifications contained in the Preferred Alternative to the NFIP NPEIS are needed to implement the legislative requirements of the Biggert-Waters Flood Insurance Reform Act of 2012, the Homeowner Flood Insurance Affordability Act of 2014, and to demonstrate compliance with the Endangered Species Act (ESA). The three primary NFIP component areas are mapping, insurance, and floodplain management. At this time, NFIP participating communities are not required to implement the program modifications contained in the Record of Decision’s Preferred Alternative. FEMA is continuing its outreach to ensure communities are aware of the forthcoming changes. FEMA will continue to develop the necessary policies and processes to implement the program modifications listed in the final NPEIS, and will coordinate with the U.S. Fish and Wildlife Service and the National Marine Fisheries Service. The final NPEIS, Record of Decision and a copy of the Community Awareness Letter are available on FEMA.gov at https://www.fema.gov/programmatic-environmental-impact-statement. If you were not able to attend the Navigating the Restyled NFIP Flood Insurance Manual webinar in December, a recording is now available. To view the recording, click on the link below. Webinar Overview: In October, FEMA released a new, easy to use Flood Insurance Manual. FEMA designed the manual with insurance professionals in mind. 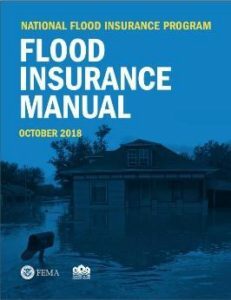 The redesigned manual aims to make flood insurance issues and NFIP processes more understandable and facilitate consistent and reliable service from insurance professionals to their policyholders. The webinar will show you how to get around the new manual in order to ease the transition to it. The NFIP Flood Insurance Manual is a resource for insurance professionals and others as they work with FEMA to close the insurance gap. The updates to FloodSmart.gov incorporates social science and website usage research as well as best practices for a streamlined and customer-centric experience. The next phase of the website launch will include insurance agent toolkits, social media templates, marketing tools, and flood map change toolkits. Whether people in your community end up having to repair or replace their building and or its contents, recovering from flood damage is expensive! Most homeowners’ and renters’ insurance policies do not cover flood damage, so it is important for citizens to speak with their insurance agent or company to find what their policies cover. To help communicate some of these costs to people, Floodsmart.gov has created an interactive tool to show people the flood recovery costs of several different flood depths for multiple home sizes. To see the interactive tool, visit https://www.floodsmart.gov/costOfFlooding/index.html. The 2018 interim report updates and expands upon mitigation measures studied in 2005 by evaluating a broad suite of mitigation measures that can inform decision-making around investments to reduce the impacts of natural hazards. Mitigation of existing buildings funded by FEMA, EDA, and HUD. Natural-hazard mitigation for utilities and transportation lifelines. $12 to $1 for earthquakes, with benefits coming through avoided casualties, post-traumatic stress, property damage, business interruptions and insurance premiums. The results show that all building stakeholders benefit from regularly updated codes—from developers, lenders, tenants and communities. Communities that consistently meet the latest editions of the I-Codes, culminating in the 2018 editions, have added 30,000 new jobs to the construction-materials industry. Last year’s interim report also found that adoption of the 2015 International Wildland Urban Interface Code provided a $4 to $1 mitigation benefit against wildfire risk. These findings demonstrate the importance of regular updates to the building codes and strong code enforcement in order to mitigate damage from natural disasters such as wildfires, earthquakes, hurricanes and flooding. Kentucky Water Resources Research Institute (KWRRI), created the poster, Water Organizations of Kentucky, to serve as an overview of water organizations and facilitate networking among organizations. Download here: Water Organizations of Kentucky (PDF, 1pg). If you would like to purchase a printed copy of the poster, please contact kwrri@uky.edu. We are very pleased to be recognized by the National Weather Service (NWS) as a Weather-Ready Nation Ambassador for the organization’s support to NWS’ goal of creating a Weather-Ready Nation. The Weather-Ready Nation Ambassador initiative is an effort to formally recognize NOAA partners who are improving the nation’s readiness against extreme weather, water, and climate events. KAMM promoted NWS efforts in the Community Collaborative Rain Hail, and Snow (CoCoRaHS) network by providing several dozen official CoCoRaHS rain gauges as speaker gifts and door prizes at our 2018 conference at Lake Barkley State Resort Park. Everyone that received a rain gauge agreed to participate in the CoCoRaHS citizen science network. Through these efforts, KAMM strengthened an already valuable Weather-Ready Nation partnership. KAMM has collaborated with the NWS offices in Kentucky for nearly 15 years in an effort to promote mitigation of natural hazards in the Commonwealth. Link to a Story Map highlighting our recognition and many others at: https://noaa.maps.arcgis.com/apps/MapTour/index.html?appid=38d9ed51a5e14a4b9c32342ea3da06dd. FEMA released two interim polices Nov. 15 as part of the Disaster Recovery Reform Act of 2018 (DRRA) implementation. On Oct. 5, 2018, President Trump signed the DRRA into law. The legislation contains critical reforms to federal disaster programs. To begin implementation of these reforms, both the FEMA Public Assistance Management Costs (Interim) Policy and the FEMA Hazard Mitigation Grant Program Management Costs (Interim) Policy are now available. Follow the linked Policy titles. Both policies will offer greater flexibility to state, local, tribal, and territorial governments and may allow more funding to manage Hazard Mitigation Grant Program and Public Assistance programs. Under these interim policies, state, local, tribal, and territorial partners may be allowed higher rates of reimbursement for their management costs when implementing Public Assistance (12 percent) and Hazard Mitigation Grant Program projects (15 percent). FEMA worked to develop the interim policies shortly after the law was passed to provide immediate guidance to grant recipients and subrecipients on how they may benefit from the changes to reimbursement for management costs. FEMA is working through implementation guidance for both interim policies. Visit https://www.fema.gov/disaster-recovery-reform-act-2018 for more information and to find a summary of each section of the act, as well as the status on FEMA’s implementation. In total, the law contains more than 50 provisions that require FEMA policy or regulation changes for full implementation. To view a summary of all the changes in DRRA, click HERE. When it comes to mapping Kentucky’s floodplains, the Kentucky Division of Water (KDOW) is a Cooperating Technical Partner (CTP) with FEMA. The CTP Program is an innovative approach to creating partnerships between FEMA and other agencies that have the interest and capability to become more active participants in the FEMA flood hazard mapping program. In 2018, KDOW was awarded 1st place in the CTP Recognition Program. The Division was recognized by FEMA for excellence in Communications, Outreach and Program Management for integrating different technologies to communicate flood risk, including virtual reality and live polling during meetings, and for embracing a variety of partnerships. KDOW’s work has been featured in a story map that is an interactive product that uses GIS maps, narrative text, images and video to showcase CTP work. 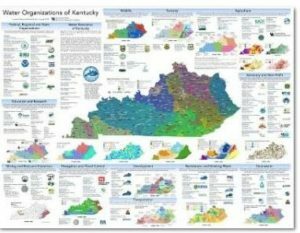 View the story map at http://arcg.is/1nqua0 to see some of the great things that the Kentucky Risk MAP team had done over the past several years.